What is the difference between an inpatient drug rehab and an outpatient program? Every drug rehab program, whether inpatient or outpatient, has been created with the purpose of helping you shake off your dependency on drugs. Rehabs help you address the symptoms of withdrawal (or detox) and treat any psychiatric conditions related to the addiction. In this article, we discuss inpatient and outpatient rehab programs and how they are different from each other. We want this to be an interactive process, and would love to get questions from you. If you have any queries, do send them in the comments below, at the end of the article. We make it a point to respond to all questions as soon as possible. Residential – Where do you stay during rehab? When you join an inpatient rehab, you will be asked to admit yourself into a remote facility, away from your usual home environment. You will have limited contact with your family. Your meals, housing and other necessities are taken care of by the rehab centre. Outpatient rehabs require you to commute regularly from home to the rehab centre that you will attend for counselling, group discussions and other forms of treatment. The main difference between inpatient and outpatient rehab centres in the cost. Outpatient drug rehabs are suitable for those with jobs and excellent social or family support. They are generally very reasonably priced. They typically cost not more than USD $2,000 per treatment, which can last for 8 to 10 weeks. Inpatient drug rehabs generally last for 28 days and cost an average of $10,000 in Asia. There are low cost rehabs that charge $7,500 a month. And then there are the luxury rehab facilities, which are quite expensive – they cost $100,000 per month, or more. Expect to pay more in Europe and the US for comparable treatments. Not all insurance plans cover the cost of an inpatient drug rehab, and some cover only a part of the expenses. So before deciding on joining an inpatient drug rehab, talk to your insurance provider and find out what’s covered and what’s not. Outpatient rehab programs generally take 6 to 10 weeks and require a commitment of 6 to 20 hours each week. Inpatient drug rehab is far more complex and is intended for patients who require extensive detox treatment and suffer from withdrawal symptoms and other psychiatric disorders because of the addition. The detox treatment can take 3 to 14 days and the average stay at an inpatient facility lasts for four weeks. The treatment can also take 3, 6 or 9 months, depending on the severity of the addiction. What’s common between inpatient and outpatient drug rehab? Inpatient and outpatient rehab programs have many similarities. In fact, the stages of treatment are the same in both, as are treatment modalities. #1: Both inpatient and outpatient care require the process of detoxification to be completed first, especially for those who have a physical dependency on illicit or prescription drugs. You will need to go through a complete process of detox and withdrawal before entering either of the two programs. #2: You will be given both individual and group counselling in both programs which prepare you for life after the addiction. Behaviour therapy and psychotherapy are integral to both inpatient and outpatient care. #3: You will be given medications during the treatment that reduce the possibility of a relapse. Pharmacotherapies are known to be quite effective. Which is the most effective form of treatment? Inpatient rehabs are recommended for patients with severe dependency issues and other psychiatric disorders. Patients who lack social or family support are recommended treatment in inpatient rehabs as well. As far as the effectiveness of the two types of rehabs is concerned, studies indicate that patients treated at outpatient facilities are four times as likely to suffer a relapse as those treated at an inpatient drug rehab centre. 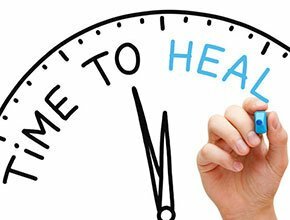 What’s better for you – Inpatient or Outpatient drug rehab? We have already determined that inpatient rehabs are more effective than outpatient rehabs for those with severe dependency issues. For many, a change in environment is just what they need to focus on the recovery, especially if the home environment is a negative one. However, for many, it is just not feasible to spend time away from work or family to join an inpatient rehab centre. Such patients require the freedom to stay with their families, especially if they have small children, and to continue to work. Also, outpatient rehabs, as discussed earlier, are less expensive than inpatient facilities. So, you should decide whether to go to an inpatient rehab centre or an outpatient facility based on the considerations stated above. Also, have a free and frank discussion with your family and friends before deciding what’s right for you. While outpatient drug rehab is a lot cheaper and flexible time wise, I don’t think it is that good. I mean, when you have a drug problem shouldn’t you be under supervision all the time, at least for a month or so? How can you be sure you won’t do something stupid if no one is watching you? Drugs have a way of making you not think straight (seen it in a cousin of mine) and in my opinion, supervision is always necessary so the costs are worth it. Thanks for the clarity on this. I’ve been finding it difficult to differentiate between an inpatient drug rehab and an outpatient program. I thought inpatient rehabs are more effective than outpatient rehabs in all aspect. However, I’ve been able to understand that it depends on individual perception or let me say the situation at hand. Thanks for the enlightenment.